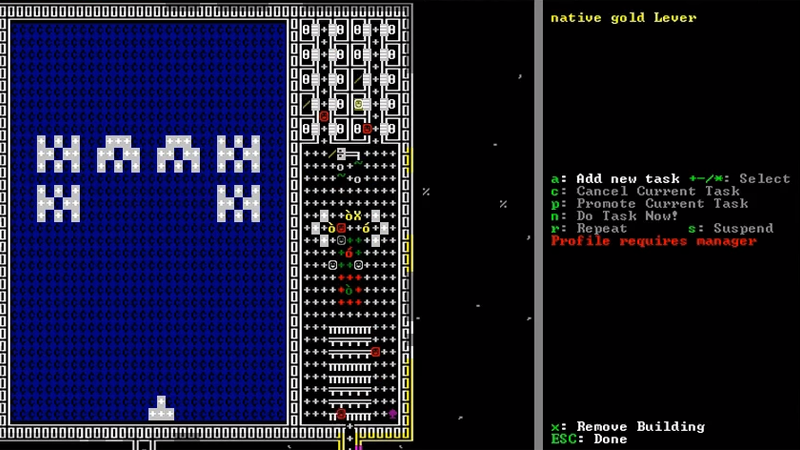 The classic ASCII-roguelike builder sim Dwarf Fortress is notorious for being unforgiving for even the smallest mistake. If you’re not familiar with the rules, it’s tough to build even simple things and not ruin everything at the same time. Still, someone managed to make a playable version of Space Invaders in it. Even the idea sounds insane, but here it is in action. And here’s how BaronW did it. An alien response to the Arecibo message could look like something similar. Basically, using the game’s mechanics as some sort of coding language, he was able to turn the whole thing into an art of automated calculations. And there are even game over and intro screens. Respect!